MANILA, Philippines - Netizens praised actress and judge Angel Locsin for 'saving the day' for the Korean auditionee of ABS-CBN's top-rating reality show Pilipinas Got Talent (PGT) on Saturday, January 13, 2018. 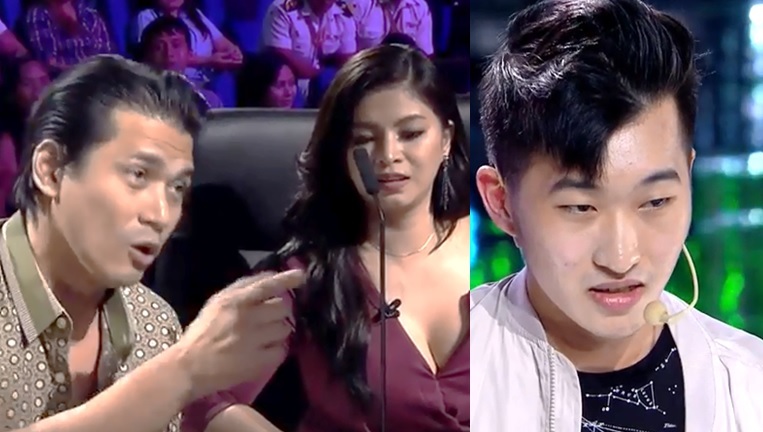 Twenty-year-old Jiwan Kim, who's living for years in the country, tried his luck on PGT despite the language barrier. Unfortunately, judge Robin Padilla refused Jiwan's request to assist him in the magic trick performance. The actor wanted him to speak Tagalog [Filipino] emphasizing that the show is "Pilipinas Got Talent" and the contestants must learn the local language. "Iho, Pilipinas Got Talent. mag-Tagalog ka kasi magmumukha kaming katawa-tawa kung mag-iEnglish kami para sa iyo," Padilla said. As the tention heats up, Locsin immediately gave assistance to Jiwan. This simple act earned admiration from the fans and viewers of the hit show. Saw two kinds of people in the world tonight. A rude man and an admirable woman. Meanwhile, Robin Padilla trended on Twitter as netizens said he is rude and racist on his remarks. #PGTisLife Robin Padilla please take note that Filipino is also joining Got talent to different country and they speak english. Don’t be rude. Robin Padilla is being so harsh to the contestant. Minsan panget pala ang maging OA ka naman sa pagiging Patriotic, you tend to offend other nationalities! Disappointed here! @ABSCBNPGT other countries dont do that to Filipinos joining their talent search di ba? "It is your social obligation to learn the language of the Philippines since you're living the country for many years now," judge Vice Ganda also commented. Despite the conflict, Padilla sincerely apologized and voted 'yes' for Jiwan. Vice Ganda and Angel Locsin also gave him a green light to proceed the competition. Judge Freddie M. Garcia was not convinced on his performance. Watch Jiwan Kim PGT 2018 performance here (video courtesy of ABS-CBN).